Last year's blockchain pilot projects are rapidly becoming this year's live implementations in a variety of industries, and even sectors that have until now been vexed by the distributed ledger technology are following suit. Case in point: Governments, which are moving to regulate blockchain technology and the cryptocurrencies it underpins. Cryptocurrencies such as bitcoin that live in open networks, have so far inhabited a regulatory gray area, because there's no way for a central authority to track users. The distributed ledgers, however, are useful because they can enable cross-border transactions over peer-to-peer networks in real time, anywhere in the world – without a central governing authority such as a bank or credit card company. In recent months, however, the U.S., China and other countries have begun to adopt a more hands-on regulatory approach to cryptocurrencies. "We have seen increasing evidence that people are borrowing to invest in cryptocurrencies, and in some cases borrowing on credit cards to invest in it," said Martha Bennett, a principal analyst at Forrester Research. "That could lead to a credit collapse." Last year, China outright banned initial coin offerings, a form of crowdfunding for cryptocurrencies, and later put the kibosh on trading in electronic currencies. More recently, the government began shutting off the power faucet for bitcoin mining pools, the large server farms that perform cryptocurrency processing. In the U.S., various state agencies have also reacted to what they see as fraudulent activities by cryptocurrency companies by ordering them to cease sales of bitcoin. One Nebraska lawmaker filed three bills to amend the state's money-laundering laws to cover cryptocurrencies and, more broadly, blockchain applications. The US Securities and Exchange Commission (SEC) has ordered the suspension of cryptocurrency trading by one company due to "unusual and unexplained market activity." More generally, SEC regulators around the country have regularly tweeted out warnings about cryptocurrencies. "They've been pretty emphatic," said Brian Behlendorf, executive director of Hyperledger, a collaborative formed to create blockchain technology for business use. "They're talking about third-party cryptocurrencies, like bitcoin and the 1,300 other cryptocurrencies out there. But they're not talking about blockchain technology. They're still extremely bullish on that. "They're pushing hard, as many countries are, for using distributed ledgers - using blockchain - to implement their own domestic digital token," Behlendorf added. While blockchain is the foundation for cryptocurrency, it is not anchored to digital currencies. Blockchain distributed ledgers are used for a myriad of business applications, such as authenticating real estate transfers or for digitizing supply chains or tracking international shipments in real time. 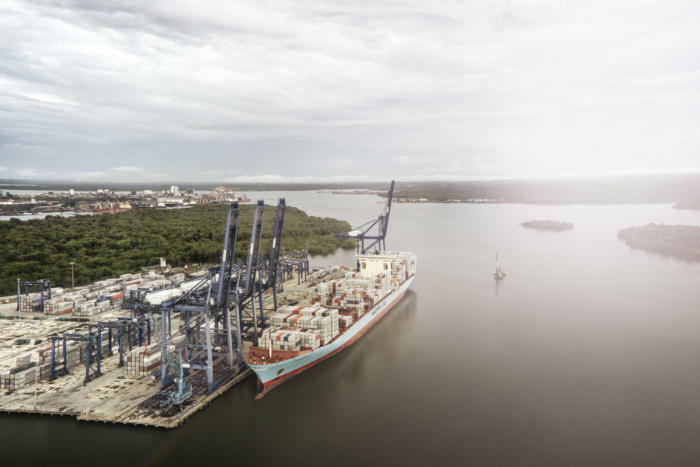 A blockchain-based, distributed electronic ledger could save the shipping industry billions of dollars a year by replacing a current EDI and paper-based system for tracking cargo and attaining approval from customs and port authorities. A government-backed, blockchain-based digital token would offer the benefits of an international currency usable for settlement of global trade and holdings. And it would be one with lower fees because it would require less administration through the use of smart or self-executing contracts. In order to be viable, a state-issued digital token would need the backing of the government itself or a central bank, such as the U.S. Central Bank, Bank of England, or Monetary Authority of Singapore, for example. Such cryptocurrencies, so called "stablecoin," are tied directly to a country's fiat money or backed by a commodity, such as gold. For example, OneGram is a gold-backed cryptocurrency that backs each digital coin with a gram of gold. Each transaction of OneGram Coin (OGC) generates a small transaction fee which is reinvested in more gold (net of admin costs), thus increasing the amount of gold that backs each OneGram, according to a white paper. The U.K's Royal Mint has begun selling cryptocurrency tokens against bars of gold, and has even called its Royal Mint Gold, "The New Digital Gold Standard." "I know central banks in lots of places are looking at this. We may eventually see central banks issue bonds against cryptocurrencies backed by their status as a tier one bank," Behlendorf said. The original idea behind bitcoin was to create a decentralized electronic currency for everyday purchases; however, it has rapidly become a speculative asset, with a value that's been volatile in recent months – sometimes reaching nearly US$20,000 in value, only to plummet below $10,000. "Bitcoin was born amid eroding public trust in financial institutions and governments with the goal of circumventing currency control by any centralized power and simplifying online transactions by cutting out intermediaries," said Csilla Zsigri, a senior analyst at 451 Research. "The bitcoin and cryptocurrency frenzy forced governments to take a closer look at what they mean for the future of trade, finance, their role and that of central banks in the economy of the future," Zsigri continued. "The U.S., China, Japan, Russia and other governments are all exploring [or] actively working on digital currencies." In a blog, "Fedcoin: On the Desirability of a Government Cryptocurrency," David Andolfatto, an economist for the Federal Reserve Bank of St. Louis, argued that government-backed cryptocurrencies would provide greater transaction transparency. And the head of the People's Bank of China's (PBoC) new Digital Currency Research Institute wants that nation's central bank to create a cryptocurrency, which he claimed would provide stability to China's fiat money. Consumers would use crypto or encrypted electronic wallets to store money that could then be used on an electronic ledger and transferred as it's spent to a merchant's account, according to a PBoC research paper. PBoC, which is testing a prototype cryptocurrency. The Bank of Japan and the European Central Bank, which are conducting coordinated research projects. Singapore's Monetary Authority, which plans to conclude an experiment called Project Ubin with blockchain and digital currency technology this year. That project involves major banks, including the Bank of America, Merrill Lynch, Citi and Credit Suisse. And Indonesia, which has banned all cryptocurrency, is now exploring the creation of its own. While digital tokens could be issued on any distributed ledger, central banks could also choose to run their own private or permissioned ledgers to track the cryptocurrenc and ensure conformance to "know-your-customer" (KYC) or anti-money laundering regulations, according to Behlendorf. A permissioned blockchain ledger enables central control over who is allowed to transact, and it can require certain forms of identification that can then be associated with an anonymous hash. For nearly two decades, KYC regulations have emerged to prevent financial services firms from being used to launder money, or to take ill-gotten gains and funnel them through third parties in order to give them the appearance of legitimate assets. While banks and governments could create fiat-style cryptocurrencies, they would still be at a distinct disadvantage to bitcoin and other third-party tokens that can move between hands but aren't required to conform to KYC or anti-money laundering rules, Behlendorf said. Zsigri agreed: "A state-backed digital currency system would be less costly and have fewer intermediaries than our current system, and could ultimately save people money and time. However, it would be centralized and would suffer all the disadvantages of centralized systems."